Happy New Year, everyone! I love that January 1st brings with it the feeling of a fresh start. I can’t even tell you how excited I am for 2015. Though 2014 was crazy, I think 2015 is going to be even crazier – in all the best ways! Lots of life stuff happened this year. The biggest, of course, happened early on when my husband and I welcomed a daughter into the world. Over the past year, she’s gone from being a tiny infant that needed to be held constantly to a crazy fast crawler who loves books and cats. I can only imagine what 2015 will bring for her and our little family! We also bought a house – a house we’d fallen in love with months earlier, before it was even on the market and before we realized that it didn’t have a functional kitchen or updated systems. But, we jumped in head first, figuring we had a lot of energy and decent amount of know how. We tore out the heating system and the kitchen right away and have been slowly, ever so slowly, putting everything back together again. 2015 better be the year we get our heat back and finish our kitchen! Hahaha! This year I also continued working on the project I left unfinished at my last job when I moved from San Francisco to Seattle for my husband’s job. October and November were a blur of science writing. Every moment Baby Girl was asleep had me in front of my computer trying to find the right words to tell this particular science story. There’s a lot of negativity associated with this project for numerous reasons that I won’t go into, but I’m determined to finish it up. I’m hopeful 2015 will mark the end of this project and the beginning of me moving on and exploring whatever might be the right next step for me science-wise here in Seattle. Finally, this past year showed me that wrangling a baby, working on home construction projects, and writing up this particular science project really stretch my time management skills. 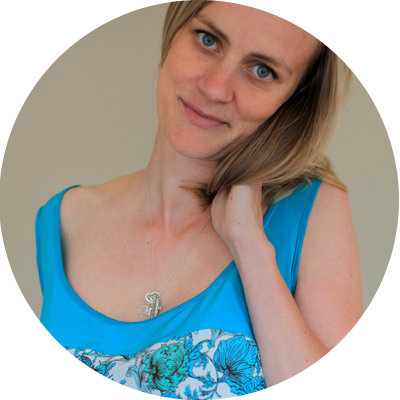 My hobbies and personal outlets – sewing, blogging, reading, running, and outdoorsy adventures – really took a back seat. I’m determined to make sure this doesn’t happen again in 2015 since all work and no play makes Jack a dull boy! 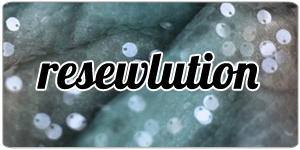 I began last year with a list of my New Year’s sewing resolutions, or “resewlutions” as I called them. Number one was to keep sewing once the little one arrives. Now, as I mentioned above, I wasn’t able to make sewing a high priority this year, but my sewing machine did see a little bit of activity. I’m proud of myself for making at least a little time to sew, but you aren’t going to get a list of top five hits or anything since there are barely five things there! Thinking about my 2015 sewing, I’d like to try to get back to my original intentions for this blog – a place for my reflections as I try to learn how to sew well. This past year I used pattern testing, book reviews, and MSN deadlines to help me keep my sewing and blogging alive. Without them, I’m not sure I would have made the time to sew and blog at all. But, even with them, I didn’t make the time that I needed in order to really grow in my knowledge and skill as a seamstress. Number two was to be more conscious of sewing with fabrics and patterns that flatter and fit my lifestyle. I actually really thought a lot about this one with every garment I made. Yet, I’m not sure I made much forward progress. My goal is to have a really functional wardrobe that feels great on, and I’m definitely not there yet, so I’m keeping this resewlution on my list for 2015 as well. I’m actually really excited about the AlterSWAP (alternative Sewing with a Plan challenge) on the Stitcher’s Guild site. I’d love to do the official SWAP since I had so much fun with it back in 2012, but I’m not crazy enough to think I’ll miraculously find the time for that kind of sewing in the next few months. The AlterSWAP encourages you put together an 11-piece wardrobe that meets the SWAP’s guidelines, but you only need to sew one new piece. You can sew more if you want to, of course, but you don’t need to sew the entire set. Also, the AlterSWAP’s discussion board pointed me in the direction of The Vivienne Files (this post in particular), and I am having fun trying on some of her ideas right now. Number three was to move to my own dot com. I knocked that one out early! Finally, number four was to get better connected with the Seattle sewing community. I started by creating a Seattle Sewing page on my blog, which you can find here. Then, I attended the Sew Expo, met up for food and shopping with some of my favorite sewing bloggers, hosted a gathering for local sewing enthusiasts, and attended a giant sewing giveaway. I’d like to keep the momentum going and am looking into places that might be big enough for people to bring their sewing machines and projects. I have a lead right now on one location, so watch this space Seattleites. So, that means in 2015 I’m planning on raising a toddler, building a kitchen, publishing a paper, getting back to my sewing blogging roots, designing a wardrobe, and continuing to connect with Seattle sewing community, as well as making the time to run, read, and get outdoors again. Hahaha! Wish me luck!!! Now it’s your turn – what are your resolutions for 2015? Previous Post Burda Burda Burda! Next Post Sewing Gifts for the Holidays: To Infinity and Beyond! I’m impressed you managed to sew even that much with everything you have going! You are inspiration for me this year. Thanks! I should have made a resolution to try to be more active in the online sewing community again, too, since I so far haven’t found a good balance between writing posts, reading posts, commenting, responding to comments, etc. Just a few minutes each day! Happy New Year Amy! you have accomplished so much, particularly with a little on and a remodel project ongoing. We miss you here in the bay area but I enjoy seeing your updates on line. Good luck with all your projects in 2015! Beth, you had an amazing 2014! I look forward to each and every post of yours, even if I can’t always find the time to comment. Keep up the amazing work! Whoa, what a year! And what a year to come! I’m really impressed you sewed as much as you did, I don’t know how you manage to find all that energy! Happy new year! Happy New Year to you, too, Kelly! Happy 2015! I think you had a really productive year given the circumstances! A move, a baby, and a new house (complete with renovations)?! That’s so much work! All the best to you and your family this year! Thanks! To you and yours as well. May the pugs continue to multiply! 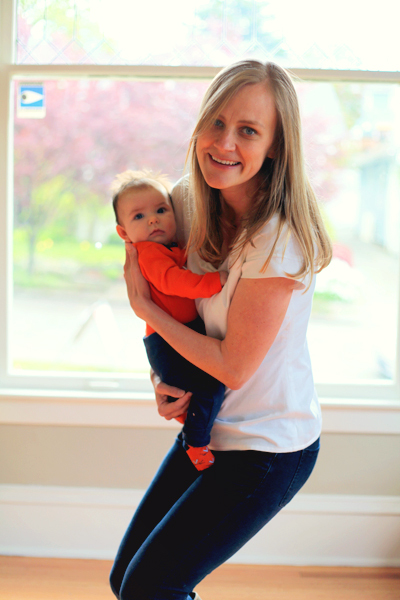 I agree – it’s amazing that you got so much done with a new baby, a new house, and a big move! I’m all about your 2nd resewlution, building an everyday wardrobe that’s functional and fun to wear. It’s hard not to sew all the shiny new patterns that come out, but I find that resisting the urge results in more wearable pieces for me. Oh! Good luck! I seem to write all of my big papers after leaving institutions… I can see the light at the end of the tunnel though! Looking forward to a sewing get together! Well, that lead already fell through, but I’m going to keep looking. It would be lovely to finally meet! You had quite a year — so many good things! Happy 2015! Thanks Jean! You had quite a year, too. Your sewing has been phenomenal lately! Re space: There have been sewing meet ups at the Shoreline Library–nice big room, long tables to move around, plenty of outlets, OK to bring food and drink. Local ASG also has a great spring retreat at the Dumas Bay Conference Center. I would say you had an incredibly productive and creative year! Miss having you in the Bay Area, but so glad to hear you are doing well. Can’t wait to see what’s next!